Group chats are the most important function of instant messenger applications since people are generally prefer to use it at personal usage. 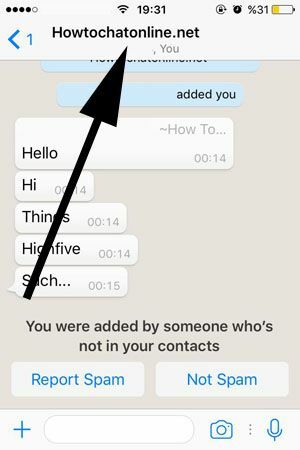 However functionality of these features are very important and WhatsApp Messenger is providing very good features inside of group chat feature. We have mentioned about some of these features before. 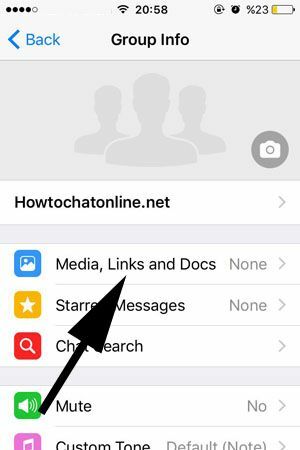 This time we are going to mention about finding a media on these group chats of WhatsApp on iPhone and iPad devices. If you have any question related to this subject, please let us know. 1-) Open your iPhone or iPad and run WhatsApp on your device. 2-) Enter the group chat that you want to find the media that has been shared on WhatsApp Messenger. 3-) Tap on the group name which is located top of the application. You can look at the picture below for more information about the location of the name of the group. 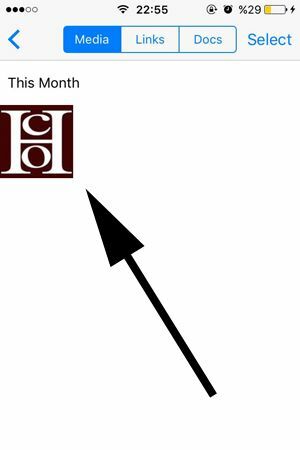 We have shown it with the arrow. 4-) Please tap on “Media, Links and Docs” button on the list. 5-) Shared media content will appear on your screen immediately after you tap on “Media, Links and Docs” button as we have shown at the picture below. You can find videos and pictures which are shared on WhatsApp Group with the way we have told you above for iPhone and iOS devices. If you have any questions related this subject, please swipe down and ask us.